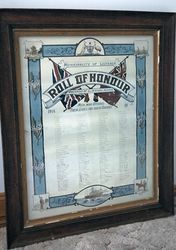 A framed colour photograph of the original paper roll of honour whcih commemorates those who served in World War One. 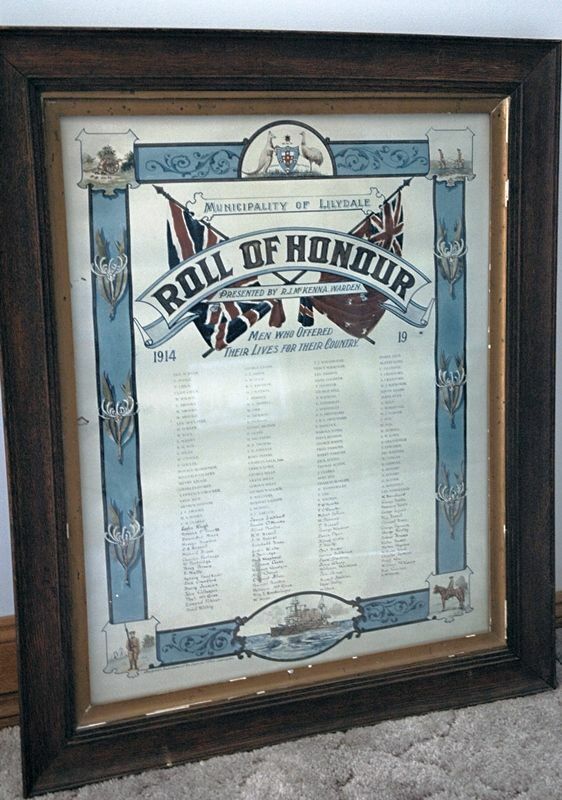 It is believed that the original is located at the Queen Victoria Museum in Launceston. 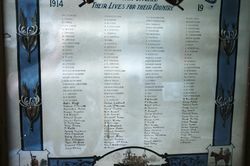 At the last meeting of the Lilydale Municipal Council the Warden (Mr. R. J. McKenna) presented the municipality with a roll of honour, containing the names of 102 soldiers who have enlisted from the municipality. The work, which was executed at the "Examiner" office, is of a nice design. and will be on exhibition at the Red Cross social on day evening. Examiner (Launceston), 8th April 1916.